Mullion Cove and Bristol City Council have joined forces again to create a three day family-friendly event at Ashton Court Estate this Jubilee weekend. 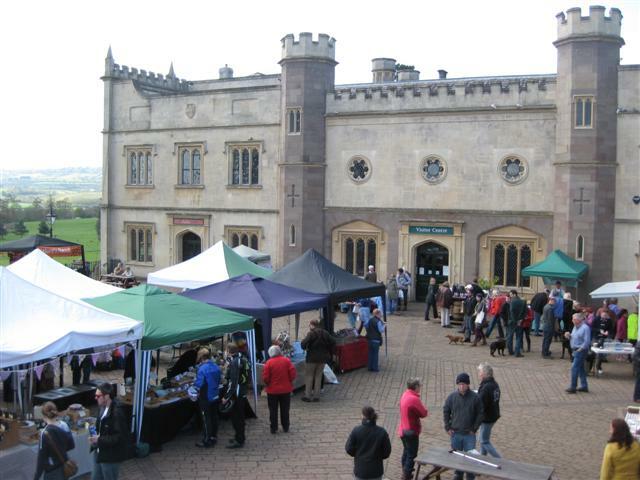 After the success of the Christmas food and craft fayre, the Ashton Court Summer Fayre will have a similar format with a wide selection of quality local food and drink producers alongside local artists and crafts people. This free event will be situated in the stables courtyard and hayloft of the mansion house at Ashton Court Estate. The summer fayre will be the perfect place to relax over the Jubilee weekend where you can shop for unusual gifts from the craft stalls, pick up some traditional English fare from the artisan food stalls and unwind on this 850 acre estate. Expect an array of local producers as well as face painting, craft demonstrations, local musicians, Jubilee strawberries and cream, a hog roast and much more. Local business taking part include Severn Cider, Zara’s Chocolates, Yarty Cordials, Natures Roast coffee, Mullion Cove, Little Ren Art Prints, Dorset Sushi, Edibubble, Fair and Square Chocolate Brownies, Village Green Soaps, Boxbush Farm apple juice, Forest of Avon Wood products, Simon Weaver Cheese, FEYA jewellery and Somerset Soup Company. The summer food and craft fayre will take place from 10am – 5pm on Sunday 3, Monday 4 and Tuesday 5 June. Free entry. For further information, see www.ashtoncourtestate.com and www.mullioncove.net.